The departure of Iker Casillas from Real Madrid has been confirmed on the club’s official website, with the iconic goalkeeper completing a transfer to FC Porto. The transfer may well have major repercussions on Manchester United, with their stopper David De Gea being considered as the natural long-term replacement for Casillas [Metro]. Real have been heavily linked to the United keeper for several months, with the Daily Star reporting earlier this week that the two sides had come to agreement for the 24-year-old. 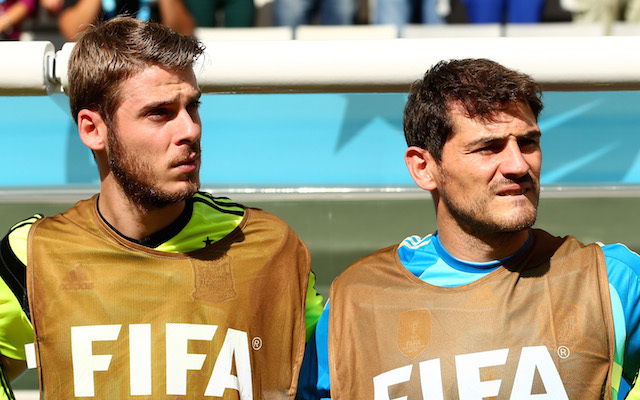 The confirmed sale of Casillas looks likely to lead to intensified speculation on De Gea’s future; it appears unlikely that Rafael Benitez will see Keylor Navas as the Merengues’ No. 1, and the Spanish club way well look to increase their efforts to bring the Spanish international to the Bernabeu. Casillas made his debut for Los Blancos in 1999, having his learned his trade with the giants’ youth sides. He leaves Real as one of the most decorated players in the club’s history, having won five La Liga titles, two Copa del Reys and four Spanish Super Cups. He also lifted the Champions League three times, winning his first title in 2000, while also playing his part in the club’s tenth European Cup triumph—the ‘Decima’ success of 2014. In an international context, no Spaniard has won more, with Casillas having played a key part in Spain’s dominant era between 2008 and 2012, winning the World Cup and two European Championships.